Internet of Things (IoT) is changing the world around us. This may look like a bold statement to many, but that’s the truth. From elevators to planes, there will be 30 billion connected devices in the next three years. Clearly, IoT is moving fast, and tech giants are taking bold measures to constantly push the boundaries of what can be achieved with the IoT. The recent Genius of Things Summit that was organized in Munich, Germany was a demonstration of how IBM’s unrivaled IoT ecosystem is changing the way we live, work, and play. Here are a few notable developments that caught my interest. The traditional way of conceptualizing, designing, and developing a product is time- and resource-intensive. Digital twin is an initiative to improve the efficiency of the process by using cloud-based virtual image of an asset maintained throughout the lifecycle. The asset, in turn, remains accessible to every individual involved in the process, thereby allowing people to work collaboratively, reduce errors, and improve efficiency. Airbus and Schaeffler are the two companies that are currently using digital twin engines and bearings. 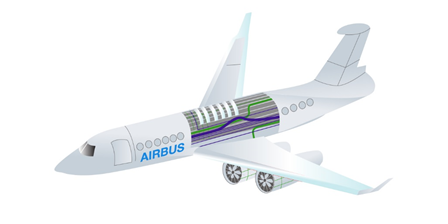 Airbus is using this technology to create a digital thread that allows different engineering divisions to collaborate. This way, in case a problem is discovered, the company can explore whether the product is due to inadequate maintenance, poor manufacturing, or a fault in the design. The ultimate objective of cognitive commerce is to offer a truly personalized service to customers based on their precise preferences. To achieve this, a wide spectrum of technologies is used, from speech recognition to machine learning. Visa is working in collaboration with IBM to offer its customers the flexibility to make payments from any IoT connected device. This, in turn, will eliminate the need to carry sensitive financial information embossed on payment cards, thereby making the customer journey simpler, easier, and more secure. As the name implies, predictive technology analyzes the data collected using sensors to predict the maintenance needs of an asset. This, in turn, improves asset availability, reduces maintenance costs, and improved customer satisfaction. SNCF, which is a leading freight and passenger transport service, has collaborated with IBM to connect its entire rail system to the IoT ecosystem. Using the data collected from sensors, SNCF will be able to predict repair and maintenance needs of its trains and tracks, improve the security and availability of its assets, and reduce the downtimes associated with unexpected downtimes. While the Internet of Things (IoT) has the power to change our world, we are still at the beginning of the transformational journey that will revolutionize the way we live and work for the better. In the next few years, we can expect to see incredible advancements being made by tech giants, such as IBM and other companies.